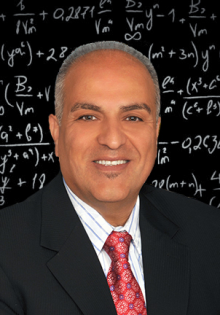 Madjid Tavana is Professor and Distinguished Chair of Business Analytics at La Salle University, where he serves as Chairman of the Business Systems and Analytics Department. He is Distinguished Research Fellow at Kennedy Space Center, Johnson Space Center, Naval Research Laboratory at Stennis Space Center, and Air Force Research Laboratory. He was recently honored with the prestigious Space Act Award by NASA. He holds a MBA, PMIS, and PhD in Management Information Systems and received his Post-Doctoral Diploma in Strategic Information Systems from the Wharton School at the University of Pennsylvania. He is the Editor-in-Chief of Decision Analytics, International Journal of Applied Decision Sciences, International Journal of Management and Decision Making, International Journal of Knowledge Engineering and Data Mining, International Journal of Strategic Decision Sciences, and International Journal of Enterprise Information Systems. He has published 12 books and over 250 research papers in scholarly academic journals.